The Schwellenmätteli Restaurants amaze with their great location between Aare and forest. From this historic area you have a fantastic view to the old town and may enjoy a unique combination of nature and modern lifestyle. Depending on the occasion, you can use the charming spaces of the event location for up to 180 guests. The wide range of the venue includes the daylight flooded pavilion of the restaurants terrace. 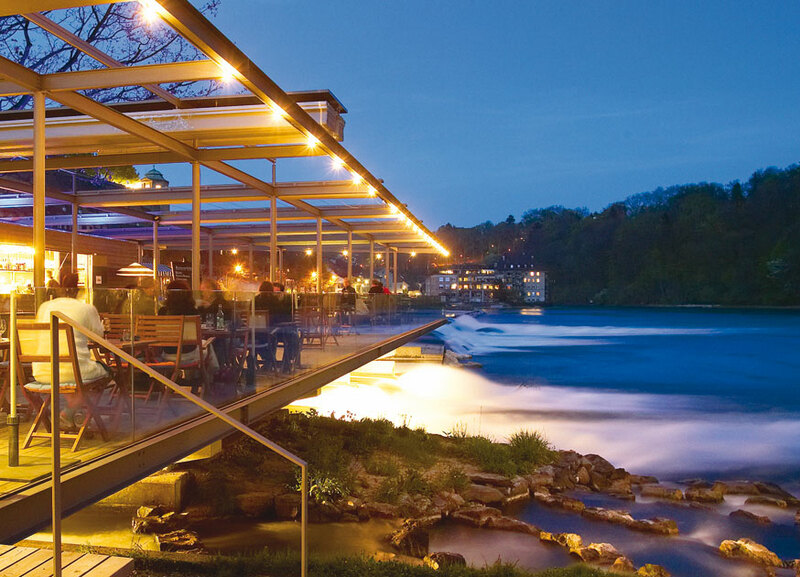 The river restaurant is floating above the floor and water and amazes you with its Mediterranean cuisine. The Ristorante Casa lies between the Aare river and the forest. The landmarked “Riegelgebäude” impresses with its rustic atmosphere and offers easy Italian food culture. The multifunctional event lounge can be used for various events. The big windows offer a view on the park, the water and the old town. The space with its flexible interior and modern technology and can be well adjusted to your individual needs. The Schwellenmätteli Restaurants not only offer suitable rooms and newest conference technology for business events of all kinds but also various all-inclusive packages for different occasions and individual offers. At your business event the focus is on the exchange of information? Then you need the right technology for your presentations, meetings or podium talks. No matter if it is an effective conference, creative workshop or concentrated seminar, the infrastructure and the technological equipment of the event lounge makes effective working possible. The equipment includes WIFI, projector and screens, flipcharts, microphones, audio equipment and speaker’s desk. The seating can be arranged according to occasion and group size. In front of the dreamlike setting of the river you can hold your ceremony or wedding celebration with few or many guests. Our event team would like to help you with the planning of your romantic wedding celebration and turn it into an unforgettable day. We decorate like you want us to, plan the catering and also organize a supporting program if wanted. As a family friendly and barrier free location, we are an ideal venue for wedding parties with many children or dogs! While the bride and groom take their pictures on the beach your small guests and animals can run around the park. The Schwellenmätteli restaurants are located near the river Aare but are still only one kilometer away from the train station or the market street which can easily be reached by your guests. In addition, free parking spaces are at the venue.